Have you ever said something that got lost in translation? Traditionally this refers to something which is translated into another language and the subtlety of the meaning is lost. However, I propose it can happen in everyday life while speaking in one language. Yep, I know a thing or two about this. There are certain things that left a “scar” on me from my childhood. No doubt in my adult life, other people have received a reaction from me that was probably baffling. That’s because it had nothing to do with them. Basically something they said or did triggered me to a painful memory. I work really hard at recognizing the cues so that I don’t fall into old patterns of reaction. Occasionally, I get caught off guard and give an emotional reaction from the wounds of my past. In hindsight, I usually recognize it quickly because I feel crappy about my response. So how do I handle it? I humble myself and offer an apology and sometimes an explanation. People usually extend me grace. 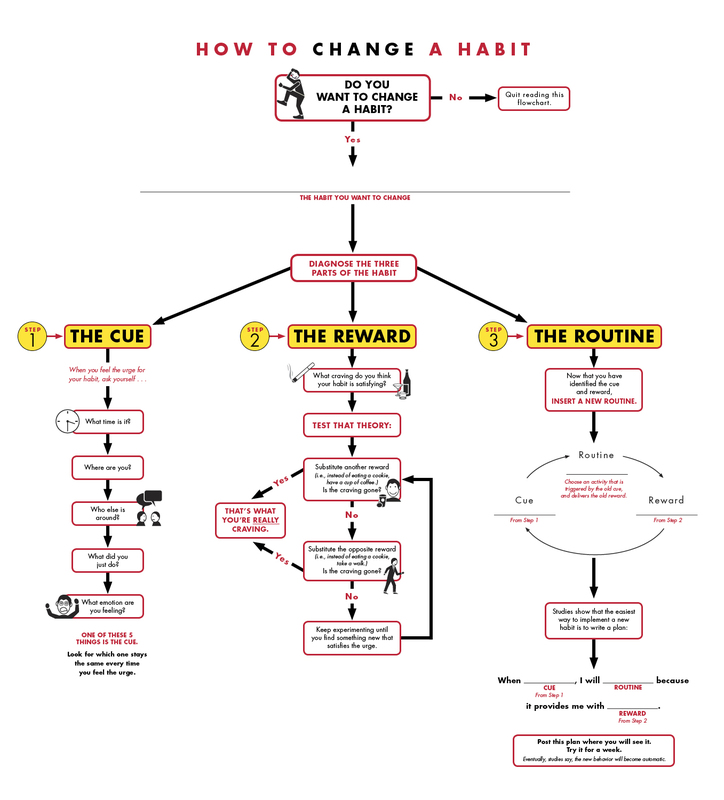 Charles Duhigg wrote an awesome book, The Power of Habit, and if you haven’t read it yet, I highly recommend it. The cues or triggers are something that causes you to fall into the habit. For example, we get hungry. In early sobriety, it was recommended that I stay away from triggers that might tempt me to drink or drug. The triggers could be anything from getting off a certain exit on the highway where I used to score drugs or a Friday night after the work week. I wanted to stay sober more than anything so I followed that advice and avoided triggers until I built up some sobriety time. What occurs after the trigger is known as the habit. Without any intentional thought, one can easily fall into habits. When we get hungry (cue) we eat (habit). Not all habits are bad. Some are. I think we can all tell the difference. So why do we do these things? Because there’s a reward. The food tastes good and we are satiated. What kind of emotions are you experiencing? With Friday night being a trigger, I recognized it occurred after the work week. I was usually alone. I experienced feelings of anticipation of what the weekend had in store. Next, you test the reward and substitute different things for what you are actually craving. You keep doing this until you find something new which satisfies your urge. So I didn’t really test a bunch of things but I did find something which satisfied the urge. I went to a large and thriving recovery meeting on Friday nights. It definitely had the feeling of being “the place to be” so it totally worked. Lastly, you establish a new routine. When the old cue occurs you insert a new habit. Write this down, post it, and repeat it until a new habit is formed. Okay, I didn’t write it down and post it somewhere but I did sign up to be a home-group member of this Friday night meeting. Additionally, I started volunteering. This ensured I’d go back each week. Hence a new habit is formed. Changing habits takes intentionality, persistence, and repetition. I’ve found that usually the inspiration to change is a strong distaste with one’s current habits. Do you want to curb your shopping or spending habits? Do you want to practice mindful spending? The above exercise can work well for creating intentionality in your consumerism habits. Pain is a great motivator. I can tell you about other people’s research but I am most qualified to speak from my own experience. In my 30’s, when I hit my bottom, the pain was too great to bear. Something had to change and I considered several options two of which involved giving up. I thank God every day that I chose life. Additionally, I chose to change and look to Him for a less self-serving life. To be honest, when I walked away from it all I knew I wasn’t going back, ever. That life I left behind was too painful. I had family and friends who supported me so I believed I could succeed if I remained honest with myself and others. My friend, Jane & I went to a delicious Vietnamese restaurant the other day. When Jane came back from the restroom and told me about the cute sign in the bathroom, naturally I had to go take a picture of it. “Please Do Not Put Brown Paper In Toilet” sounds hilarious. In the bathroom at said restaurant the hand towels are brown so it’s obvious what they meant. However, their literal translation is not quite how Americans would typically state this request. But were they wrong? Nope, they were literally right. We are all walking around with our own perceptions of this world we live in. These perceptions were shaped by the environments we came from. Sometimes from the things we endured. Additionally, it may be from things we’ve survived. Furthermore, it could be from things we wish to forget. We all have a story and backdrop. Take the time to hear each other’s stories. People are fascinating. Above all else, extend grace to one another for you never know what kind of battle that person may be fighting. And if you get a reaction from someone that doesn’t quite make sense, remember this article. And if you’re feeling bold, ask them what’s the real problem. Life is too short not to be real with one another. Above all else, please do not put brown paper in toilet! Great post, Deanna. Weaving your story into the lessons from the book brings it alive. There’s noting like personal experience to teach us and others lessons. I have to constantly remind myself that when someone’s being a jerk, there’s often more to the story. Scars from the past do more damage than we realize. Your awareness of that and sharing it with your readers will help a lot of people. Keep up the good work. See you in Orlando!! Thanks, Fred! I am so glad this flow worked. I really appreciate your feedback. There’s always more to the story. I cannot wait to meet you In Orlando!